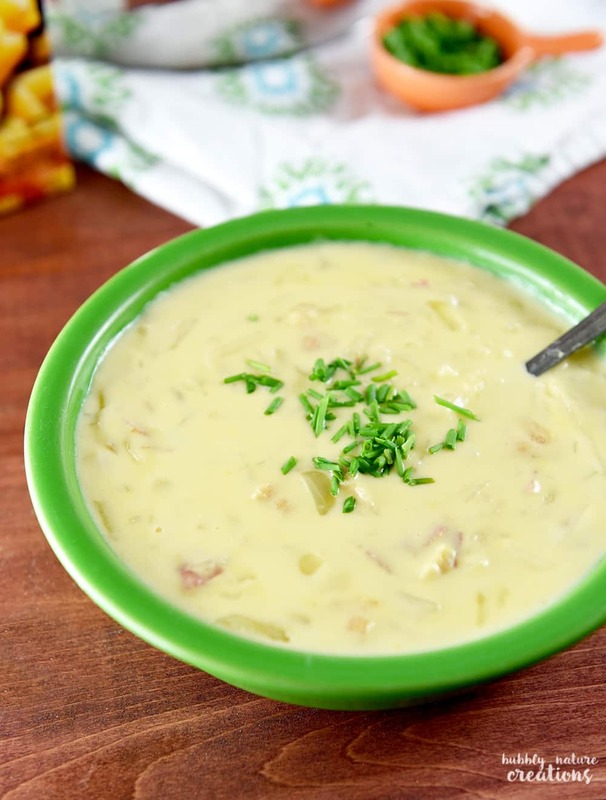 Growing up I remember my mom would always make certain dishes in the wintertime and potato soup always seemed to be the first that she made when the weather turned cold. She would always have my dad peel the potatoes and we loved to help him! It was her own recipe for potato soup and it was one that she gladly made all the time. Now that I have a family of my own I also like to make potato soup as soon as the weather gets cold. It’s such a comfort food to me. 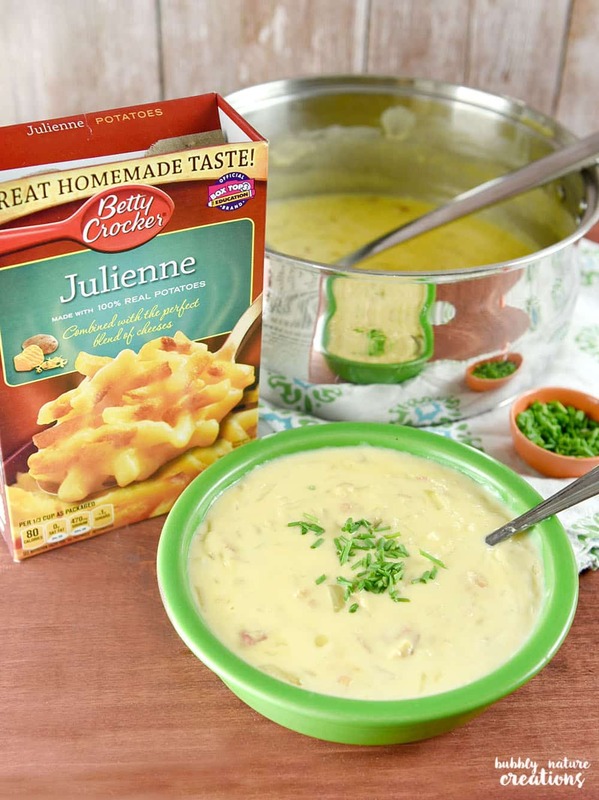 I skip peeling the potatoes though and use a box of Betty Crocker Julienne potatoes with cheese instead! First heat up the butter on the stove in a large pot on medium heat. Add onions and let them sweat out and become translucent. Add chicken broth or stock and stir. Add the bacon, potatoes and cheese packet from box and bring to a boil. Once it is at a boil then turn down the heat to low and let cook for around 20 to 25 minutes or until the potatoes are soft. Add cheese and cream and let cook another 5 minutes. Soup will be thick. If you like your soup a bit thinner add a bit of milk until you get the consistency you like. Sprinkle some chives if desired and Enjoy! 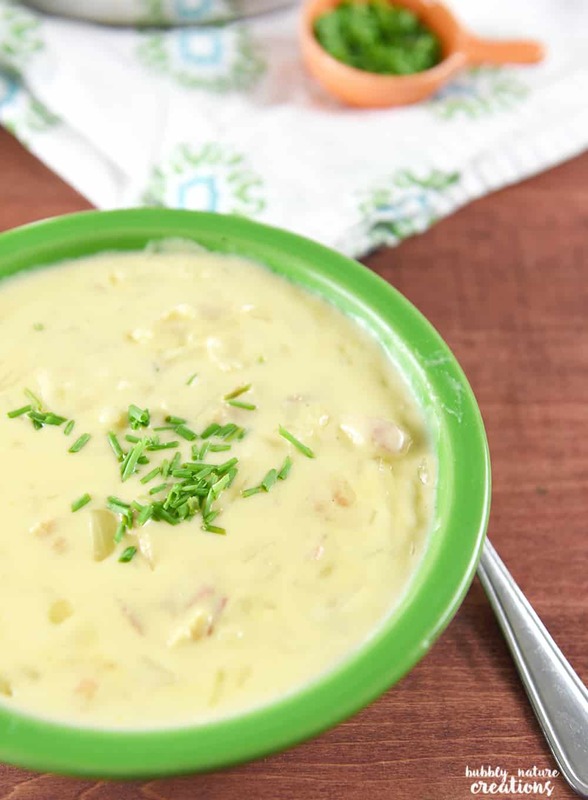 I love for my potato soup to be extra creamy and cheesy. 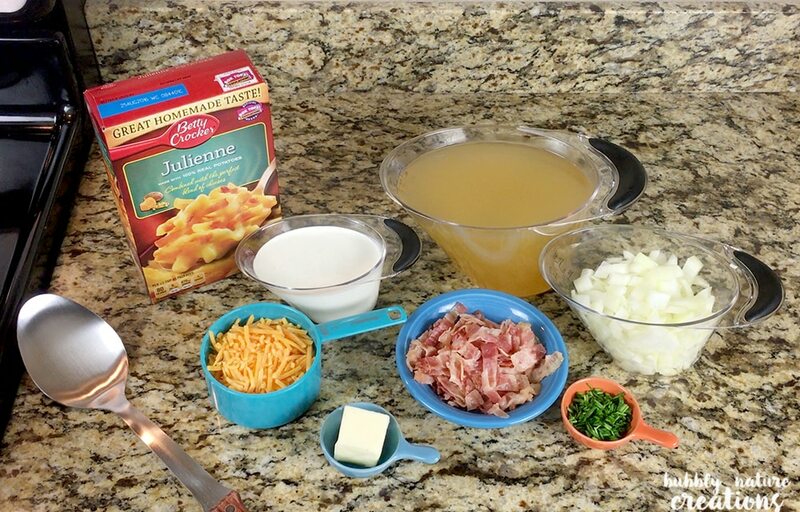 That’s why I love using the Betty Crocker Julienne potatoes with cheese. The cheese sauce it makes is incredible and I even add more cheese to the soup! I also make sure to put in plenty of bacon and onions too to make it extra flavorful. This recipe has become a favorite of ours and one that we will make time and again when the cold wind blows in! That little sprinkle of chives is sooo good too! This is one of the thickest potato soups and it’s so warm and hearty. That’s all thanks to the Better Crocker Julienne Potatoes! Betty Crocker Potatoes are 100% real potatoes, farmed here in the United States.Skillet, baked, in the crockpot, on the stove…Betty Crocker potatoes are flexible and simpler to use than a sack of spuds. 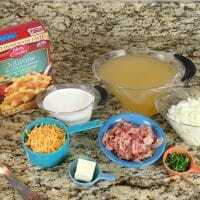 I am so glad I thought to make them into a soup, but they are also great as made on the box too. You can get a .50 off 2 Betty Crocker Potato products coupon here! What is your go-to potato recipe for the winter? I’d love to know! Be sure to experiment with the spices, mix-ins and flavors to add to your #BettyPotatoes because they are so versatile! 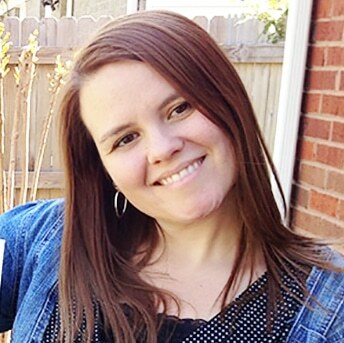 I am also hosting a giveaway for a Betty Crocker Potatoes gift basket valued at $50! Just visit the Betty Crocker site and then comment here or on Facebook to tell me which recipe reminds you of your own traditions. Tell me what that tradition is and be sure to tag it with #ABettyTradition . I will be looking for the best tradition story to share with Betty Crocker! Contest starts now and will end December 10th at 11pm.